Lushome presents a unique home and office design called Zoku Loft by Concrete Architectural Associates. 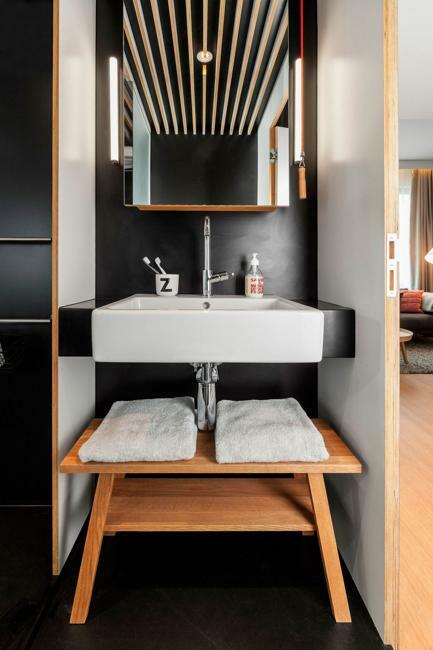 The modern, beautiful, ergonomic and contemporary property for rent is in Amsterdam, Netherlands. The 24-hour working space features comfortable interior design and shows a new category of properties offered by the hospitality industry. 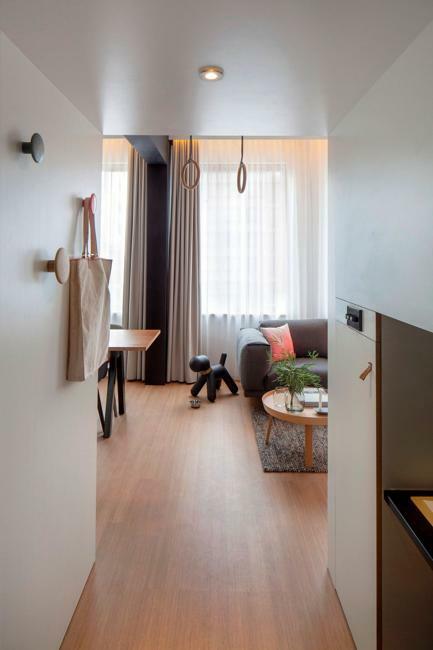 The small apartment is ergonomic, inviting, and attractive, providing 25 sq meters of functional and comfortable working and living spaces. The interior design is a combination of a hotel room and an office. 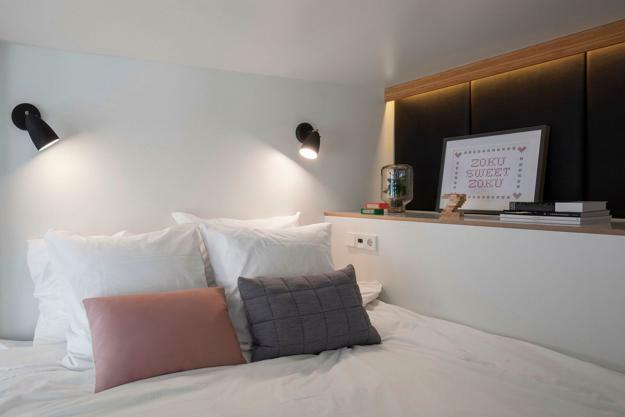 The bed is a focal point of traditional hotel room decorating, but the hybrid apartment demonstrates a different approach to interior design. A large table takes the central role, making a clear statement. The original home-office is a different dwelling for work, dining, and rest. These contemporary and multifunctional spaces can please any workaholic. A double bed, wooden furniture, bamboo floor and beautiful textiles create coziness and naturally style the interior design. 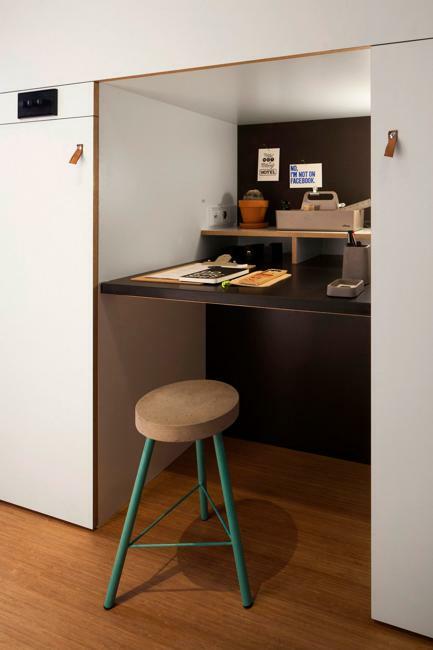 The work area and sleeping area demonstrate ultimate convenience and comfort, offering great inspirations for decorating small apartments and homes. Large windows increase a spacious feel and create bright living spaces for short and long stays. The small kitchen has everything a person needs, including contemporary kitchen appliances, stove, sink, dishwasher, refrigerator, microwave and coffee machine. 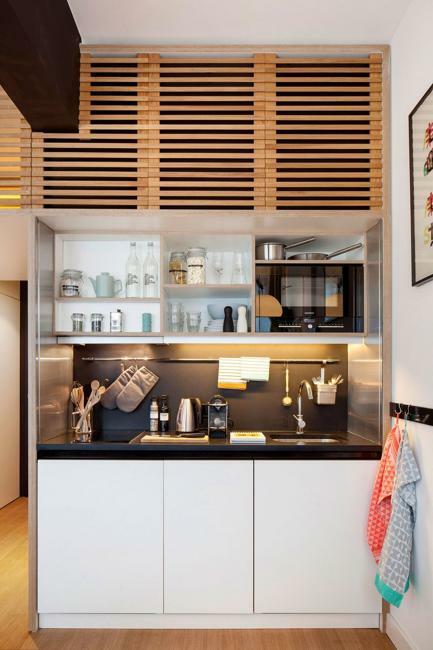 The kitchen design is compact, ergonomic, elegant, and convenient. The small bathroom features a spacious shower enclosure. The mirror on the back wall visually increases small spaces and bring lightness into the small room. Everything is small but comfortable and stylish. 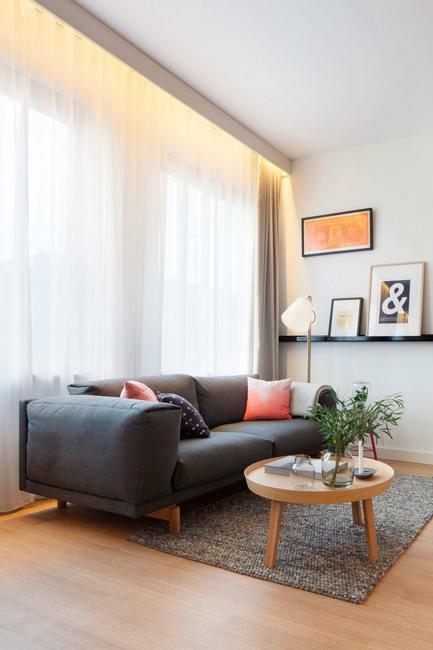 The compact and ergonomic design ideas celebrate contemporary design and space saving solutions, perfect for decorating small apartments and homes. The elevated sleeping area, with wide king-size bed, are screened off from visitors and for a comfy feel. Stylish sliding doors hide away the bathroom and kitchen. 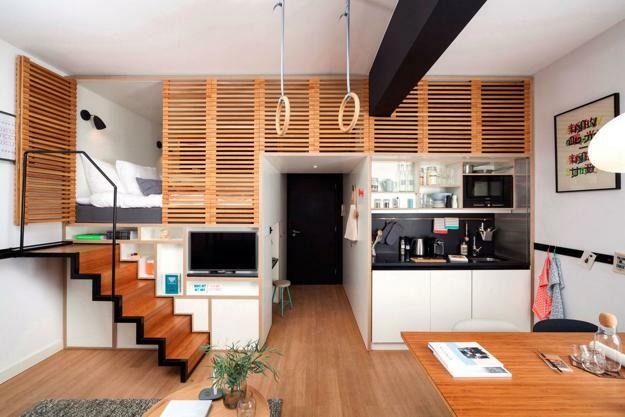 The Zoku Loft features plenty of storage space for suitcases and clothes. 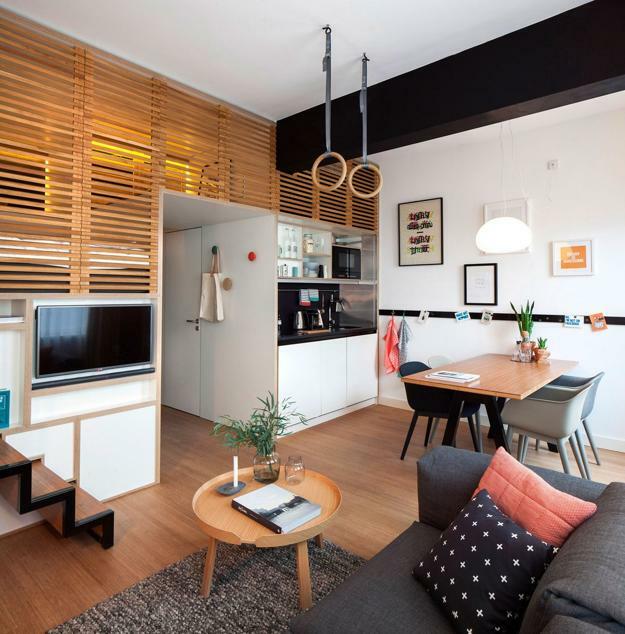 While rentable by night, Zoku Loft is a stylish temporary residence for all who come to Amsterdam for a few days or several months.